Posted by Roger's Eye in Photography. Foggy Morning sunrise a photo by Roger’s Eye on Flickr. Sometimes a photo op just jumps out and hits you. I was walking to work this morning a bam!. It was a very foggy morning and the sun was just rising. The reflection off the RBC tower was cutting through the thick fog. The only camera I had was my crappy cell camera. The good thing is that I could post it to Flickr, while riding the bus north on Bay street. I would had loved to have my 60d with me, but you have to work with what you have at the time. Duet a photo by Roger’s Eye on Flickr. 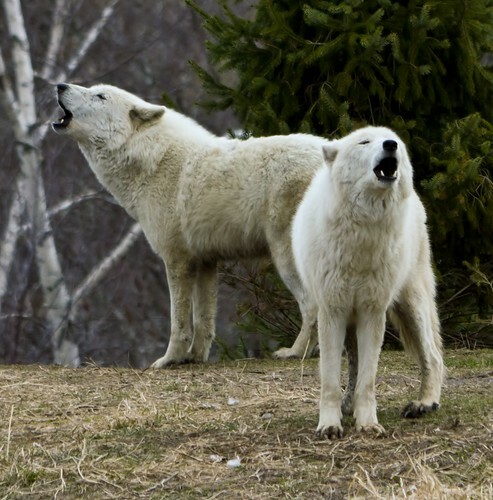 Nothing more haunting than a wolf pack howl. We enjoyed their song for 10 minutes or so. I was glad I had my 300 lens to capture it. 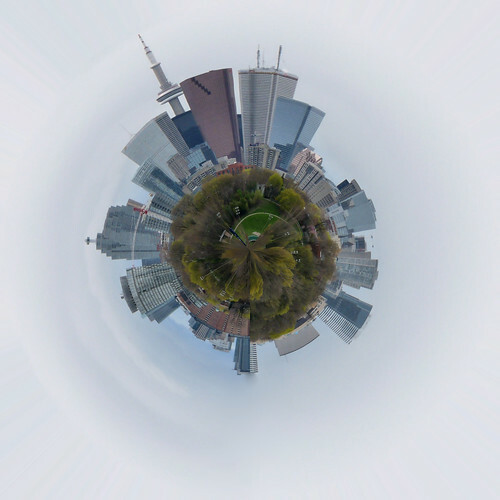 Planet Toronto v2 a photo by Roger’s Eye on Flickr. I know that there are the purists that may not like photo manipulation. For me, I have cleaned up, adjusted levels and cropped my photographs. I think is one of the key advanteges to the digital age of photography. 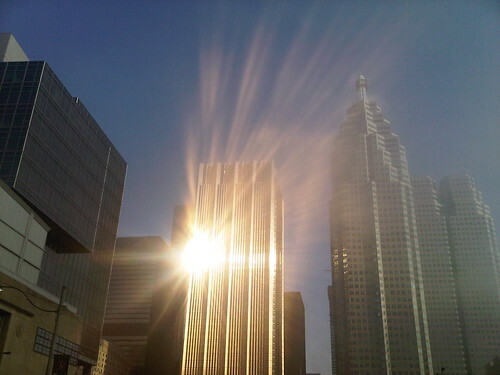 The above is a heavily twisted photo of mine of Toronto. I saw the effect on the web and thought I would try the same. I think it turned out very well. It is very easy to do. This link gave me all that I needed. Cottage 324 a photo by Roger’s Eye on Flickr. 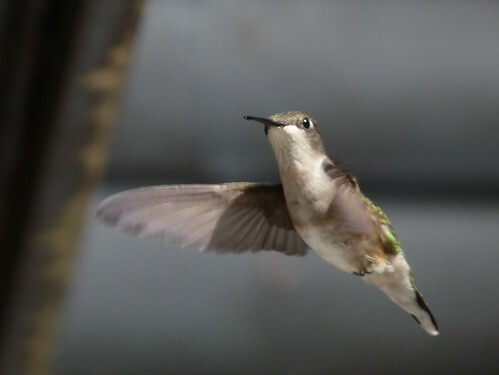 For many years now, I have stalked humming birds at the cottage feeder. I have been almost been bled dry by the mosquitoes while waiting for these timid birds. This year will be a little different. I am thinking that a remote tigger might do the trick. This may keep my itching to a minimum. Singled Out a photo by Roger’s Eye on Flickr. Wandering around the studio again. 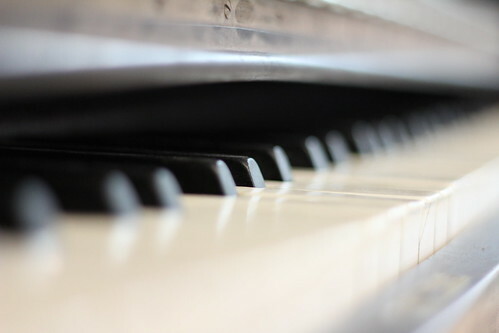 It is amazing the results you can get with a really short depth of field. Feeling a little Blue a photo by Roger’s Eye on Flickr. I was wandering around the Ballet studio where my wife teaches and found this lonely bulb back stage. 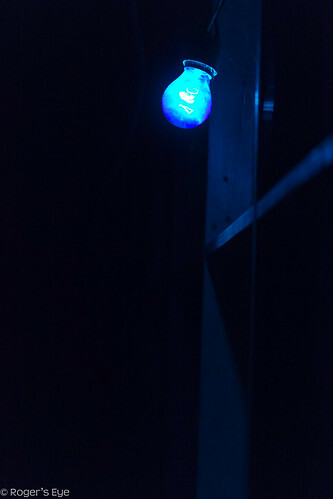 The blue is not seen from the seats but allows the performers to navigate backstage safely. Always a big help for the performers….never getting the spotlight. I though it should get an honourable mention. 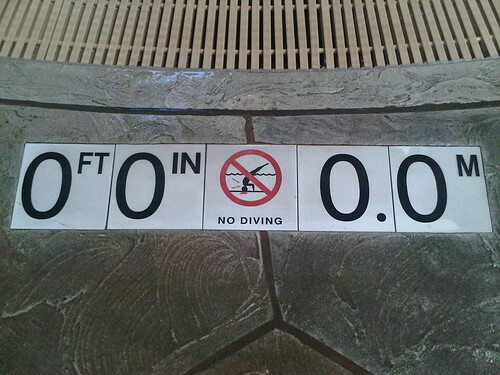 No Diving a photo by Roger’s Eye on Flickr. No kidding….I found this at Great Wolf Lodge. I thought that the lack of water would stop people from endangering their lives. I guess I was wrong. I started to wonder why they did not have any signs like this in the parking lot. I was going to ask the management, but thought they may not take me seriously. Do they have people diving into the ground often? I was there for 3 days and heard no sirens. I guess the signs are working.